Regularly eating red meat, processed or unprocessed, can increase the risk of premature death, scientists from the Harvard School of Public Health said in Monday’s online Archives of Internal Medicine. The study examined the eating habits and health of more than 120,000 people over 28 years. The study found that each additional serving of unprocessed red meat - about three ounce, in one's daily diet had about a 30 percent greater risk of dying. The processed red meat appeared to be even more dangerous. An extra daily serving of processed red meat, such as a hotdog or two slices of bacon per day, can lead to a 20 percent increase in mortality risk during the course of the study. 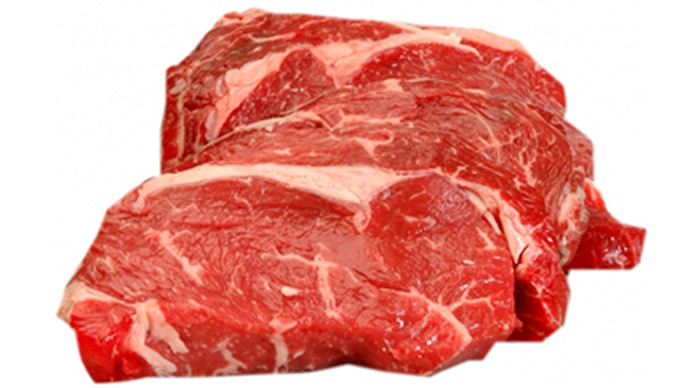 "This new study provides further compelling evidence that high amounts of red meat may boost the risk of premature death," said An Pan, the lead author of the study. The researchers also calculated that the hearty meat eaters can reduce their risk of dying from 7 to 9 percent by replacing the red meat for other healthy protein sources, such as poultry, fish, nuts, or whole grains. "If you want to eat red meat, eat he unprocessed products, and reduce it to two or three servings a week," Pan said. "That would have a huge impact on public health."